News Alert: Blue Like JAZZ or Red Like BLOOD? The great thing about the book Blue Like Jazz is that Don Miller is a fantastic writer. Blue Like Jazz wrestles honestly with the intersection of life and faith. Miller’s open and engaging style appeals to those (both Christian and non-Christian) looking for an honest conversation about making sense of the world we live in. The release of the Blue Like Jazz movie has tremendous potential to present Christianity as profoundly relevant to daily life. So what’s the problem? The gospel is missing. And without the gospel, all the cool, relevant, honest writing in the world is powerless to transform us. Over the next several months the Red Like Blood blog will be featuring reviews and commentary on the Blue Like Jazz movie. The release of this movie will create a resurgence of interest in Blue Like Jazz and the conversation it has started. 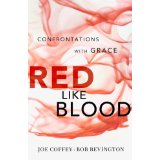 Red Like Blood was written to take that conversation to the place it becomes truly relevant – the cross. 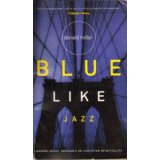 The authors of Red Like Blood have recently set up a new website: www.bluelikejazzorredlikeblood.com, where they will point visitors to their reviews and commentary on the Blue Like Jazz movie. We’re looking for ways to get the word out about this new website, and we’d like your help. Donald Miller says Jazz doesn’t resolve. He’s right. But God’s plan of redemption does resolve. At the cross. As the release of the Blue Like Jazz movie takes place, we will keep you informed of ways that you and your readers can participate in this exciting opportunity to showcase the gospel.